Trailing stops, a form of stop-loss orders, can also protect a profit and, if you’re clever, follow a stock’s rising price. Let me explain. First, a quick review. 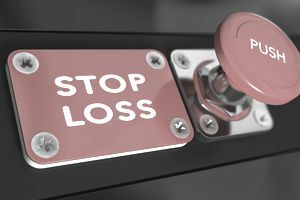 A stop-loss order placed with your broker is a way to protect yourself from a loss, should the stock fall. The stop-loss order tells your broker to sell the stock when, and if, the stock falls to a certain price. When the stock hits this price, the stop loss order becomes a market order. A market order instructs your broker to sell immediately at the best possible price. In a volatile market, you may not get the price you wanted, but it should be close. That’s how you protect yourself from a bad loss. Now, here’s how you use the stop loss order to protect your profit on a stock that’s rising. There are two ways to enter a stop loss order. You can enter a dollar amount, for example, if your stock is selling at $40 per share, you might enter a stop loss order for $37.50 per share. When the stock price drops to $37.50, it trips the stop loss order, and the broker sells it. However, what if you were fortunate enough to (through careful research) to have a growth stock that was rising on a fairly steady basis? Let me set up a scenario. You bought the stock two years ago for $25 per share, and it has grown 23% each year and is now pushing $38 per share. When you can stop patting yourself on the back, you began to get a little nervous that this run of growth might be coming to an end. The P/E or Price to Earnings Ratio is higher than at any point in the past three years making you think that the stock is overvalued and due for a fall. You could take your profits and run, but what if the stock still has some legs and there’s more growth ahead? On the other hand, if it takes a fall, you stand to lose some of your handsome profit. Here’s where the stop loss order bridges the gap and gives you an alternative that keeps you in the stock but protects your profit. You simply give your broker a stop loss order called a trailing stop, which is a percentage below the market price. For example, you might tell your broker you want a trailing stop 10% below the market price. Using our example, the trailing stop would kick in at $34.20 per share ($38 x 10% = $3.80; $38 - $3.80 = $34.20). As long as the stock keeps rising or holds relatively steady, nothing happens. However, if it turns south and hits your trailing stop, your broker sells, and you pocket your profit. It is important to note; the trailing stop only goes up; it never goes down with a market price. The trick is setting the percentage at a level that will pick up a true price drop as opposed to normal daily price fluctuations. Several trading techniques use trailing stops. This example is a simple strategy to protect your profit. More advanced traders use it in combination with other maneuvers to extend their advantage. However, this strategy works just fine for beginning to intermediate investors who want to protect a profit, but let a winner run as long as possible.